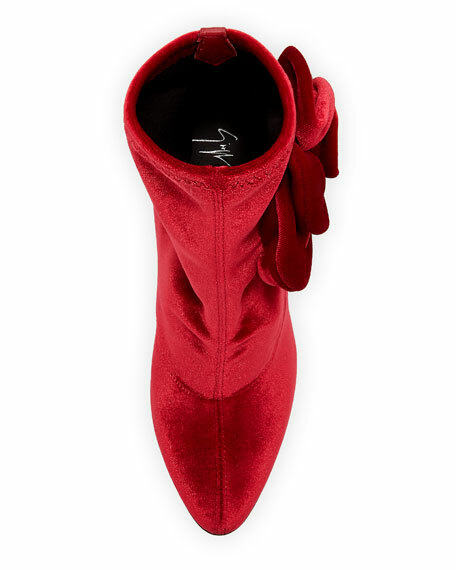 Giuseppe Zanotti stretch-velvet booties with flower appliqué. 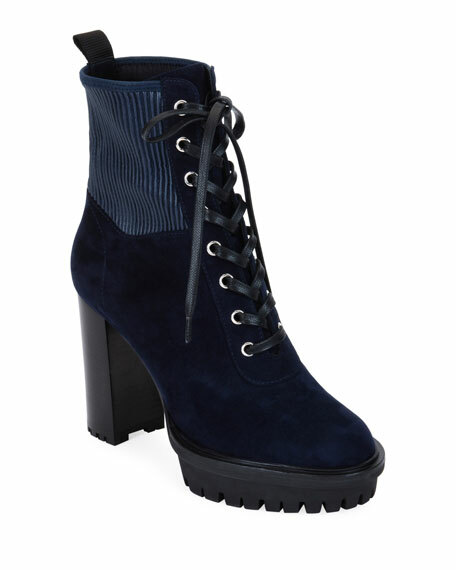 Gianvito Rossi suede hiker-inspired bootie. 2.8" stacked block heel with platform. Round toe. Lace-up vamp. Stretch-sock collar. Leather lining. Lugged rubber outsole. Made in Italy. 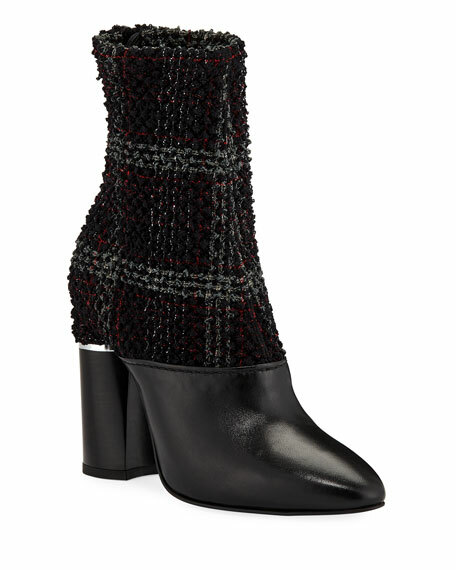 Loeffler Randall stretchy knit ankle boot. 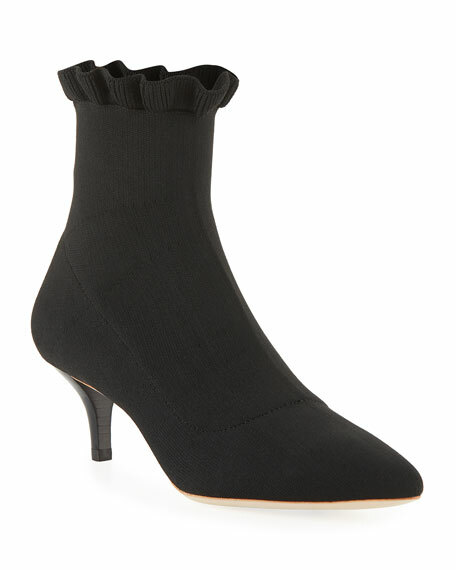 2" kitten heel. Pointed toe. Pull-on style. Ruffled top. Leather lining and sole. "Kassidy" is imported. 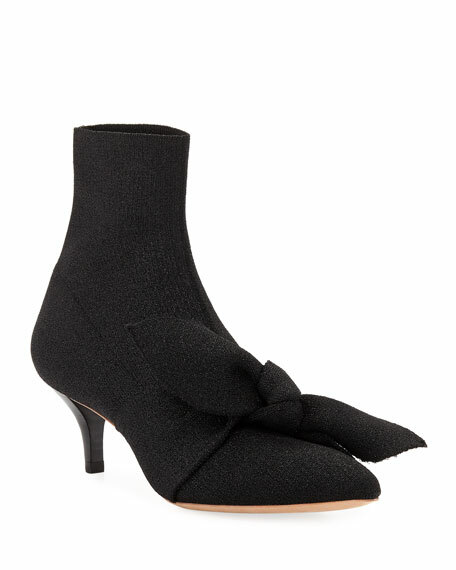 Loeffler Randall stretch fabric ankle boot with oversize bow detail. 2" covered kitten heel. Pointed toe. Pull-on style. Leather lining and sole. "Kassidy" is imported.